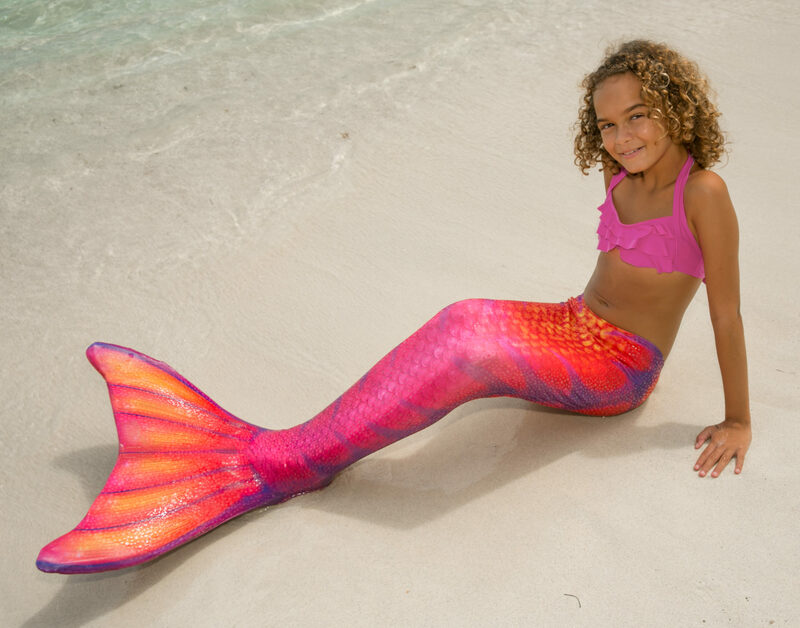 Looking for a “showy” tail you can glide through the water in? 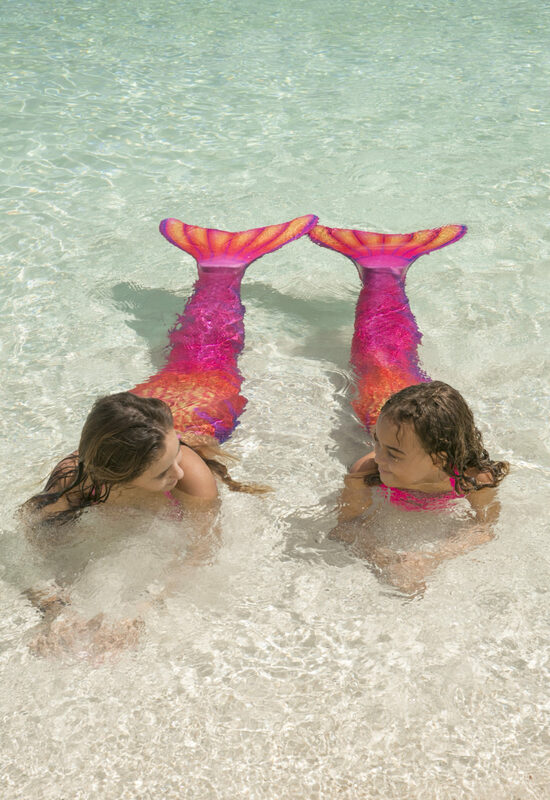 Inspired by the distinct Tiger Lily originating from the Far East, this Limited Edition mermaid tail magnifies the brightest colors found on the fragrant flower known to symbolize pride and prosperity. Starting with fiery fish scales of golden orange that transition to fuchsia, this ombre design is bordered by its lance-shaped purple streaks reaching down from the sides. The fluke comes alive in a burst of golden orange and hot pink hues outlined by purple rays. 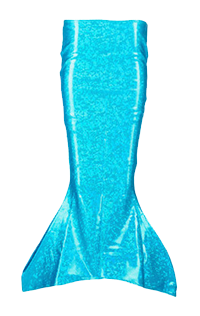 You’ll sense the excitement of those around you when you appear wearing this exotic mermaid tail! 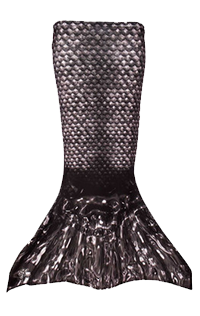 As part of Fin Fun’s Limited Edition collection, this tail features an extra layer of shiny dots that glistens in the sun and water! Made of high-quality, stretchy swimsuit fabric, our mermaid tail is made to last and also resistant to fading caused by chlorine and saltwater.